Highfield sells 6,802 shares of Johnston Press stock, at an average price of £0.41 ($0.59), for a total value of £2,788.82 ($3,981.75). The Guardian reports Highfield received £1.65m in pay in 2014, including a £645,000 bonus, more than triple the £592,000 he was awarded in 2013. The company’s remuneration committee also granted him a pay rise of almost 7.5%, or £26,000, from £404,000 to £430,000 for 2015. 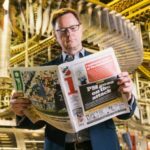 Johnston Press reported a pre-tax loss of £23.9m last year. Underlying profits rose from £54m to £55.5m. Highfield received a £483,000 annual bonus, including cash and a deferred element that became due after three years, for hitting a number of performance targets, such as increasing digital revenue by 20% from £24m to £28.8m, and growing the company’s digital audience by more than 30%. He also received an additional bonus for reducing the company’s debt from £302m to £184.6m, and further compensation from a share performance package, equivalent to 125% of his initial salary, which vested last year. Highfield gives a speech at the Media & Telecoms 2014 conference, titled Reinventing Local Media. I became convinced, reading enough articles by Mark Sweeney, that the official name of our company was “beleaguered Johnston Press”…There was a tsunami that hit the regional and local press industry. In just one year, 2007-2008, Johnston Press’ share price fell 99%. The dotcom crash that hit the local press industry happened eight years after the dotcom crash, but my God, it was every bit as severe, and every bit as rapid. That was the shift of the classified industry, particularly in motors and property, away from print and on to Autotrader and Rightmove. Well that shift’s happened. That’s gone. The industry that we are now in, of providing local news and information to people in communities that really matter to them, is a pretty stable business. Since then we have had a four-fold increase in share price. Highfield speaks at IAB Mobile Engage 2011. He talks about the growth in the mobile phone market, the lag of mobile advertising behind consumer uptake. I think that mobile advertising is going to increase much more rapidly i.e. we are going to get through 5 and 10% of total budgets within two years, not the four or years it took Internet advertising. It’s self evident why: Most brands and companies have gotten used to digital advertising. I think that the benefits of mobile advertising, highly-targeted, highly social, highly engaging, is going to mean that the rate of adoption is going to happen far, far quicker. Highfield gives a presentation at IAB Engage 2009. He talks about where the television industry is going. What took the telephone 100 years to achieve mass market penetration, took the television industry 50 years. It took the PC industry barely 20 years. In the UK this year we reached a tipping point where there are more PCs sold than television sets…When low-end netbooks become ubiquitous and disposable the idea of receiving your video content through traditional means almost becomes absurd…Whilst TV has to change dramatically, video content has an extremely rich and monetisable future. These subscriptions were paid for where the BBC deemed that they would not in normal circumstances been taken for personal use. This was in order for Mr Highfield to be fully informed about emerging digital and interactive technology. 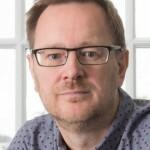 Highfield is appointed CEO of Kangaroo, a video-on-demand service owned by BBC Worldwide, ITV and Channel 4, and due to launch in 2008. He take over from Lesley Mackenzie, who has been managing the project as interim CEO. As well as overseeing the roll-out of the new service, Highfield will lead negotiations with third party content owners and the future distribution of the service on other platforms. This is a fantastic opportunity. Kangaroo is a historic partnership with a combination of innovative technology and terrific content and I’m looking forward to transforming the way audiences watch television.